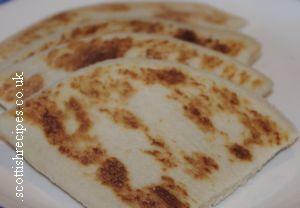 This Potato Scones Recipe is easy to make and requires few ingredients. They can be enjoyed on their own with a topping such as butter, margarine, jam, marmalade, grated cheese, etc. They are best eaten warm and are easily reheated. Many people in Scotland eat them with a fry up or with beans. 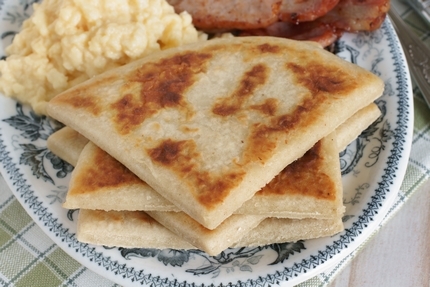 They are traditionally eaten at breakfast time though Eating in suggests eating tattie scones with a bowl of broth or lentil soup. The book Scots Cooking: The Best Traditional and Contemporary Scottish Recipes by Sue Lawrence recommends adding some grated cheddar cheese to a potato scones recipe and serving them with a bowl of broth or lentil soup for lunch. 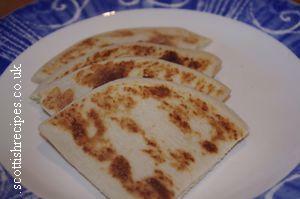 There are many other names for Scottish potato scones such as tattie scones, tatty scones and potatoe scones. 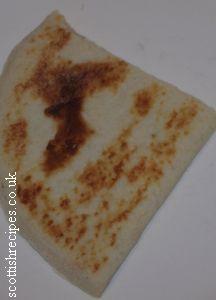 Some bakers, such as Warburtons, make potato cakes which as much lighter and more like a scone. 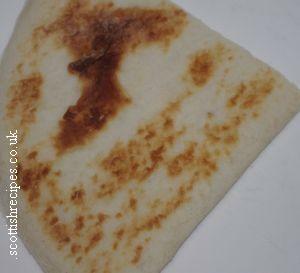 The book Sue Lawrence's Scottish Kitchen: Over 100 Modern Recipes Using Traditional Ingredients has a tattie scones with bacon recipe. 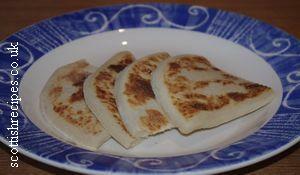 A girdle or griddle pan is the best way to make potato scones though a frying pan can also be used. The trick is not to let the mixture get dry. Boil the tatties and then mash them thoroughly. Add butter and salt if needed. A healthier potato scone recipe should omit the salt. In a mixing bowl mix in the plain flour with the mashed tatties ensuring the mixture does not go dry. Empty onto a flat surface and use a rolling pin to roll out the mixture evenly and to a desired height of about 3mm. 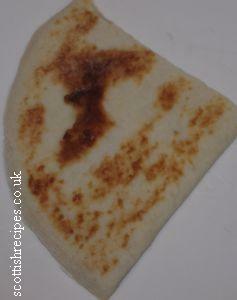 For this recipe for potato scones cut into the traditional shape of triangles, though some bakers now sell round ones. Put each one into the griddle or frying pan and cook on both sides until brown. Scots broadcaster, Kirsty Young, discusses her love for Scottish potato scones in Taste Ye Back: Great Scots and the Food That Made Them. She describes how her mum makes her a Scottish breakfast with potato scones and black pudding. An alternative to Scottish potato scones is the German dish of Reibekuchen which are potato pancakes, These are a bit similar but with extra ingredients such as nutmeg, eggs and onions. A recipe for these can be found in The Food-lover's Guide to Europe .